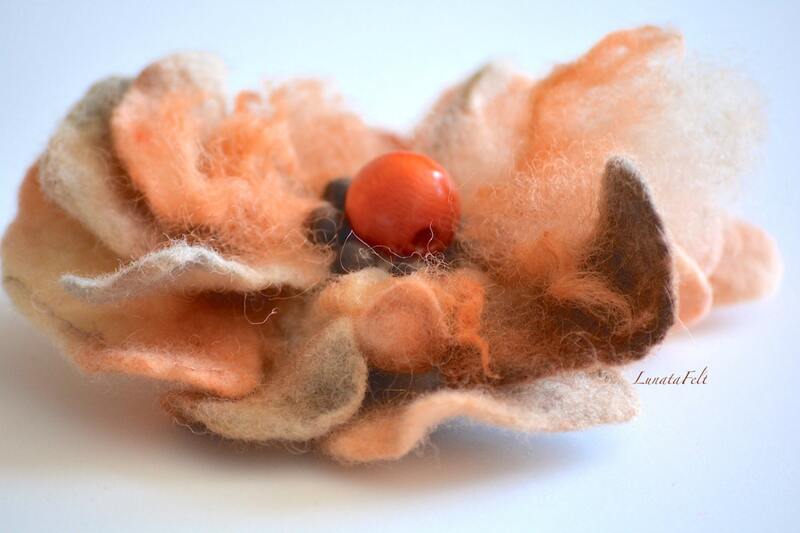 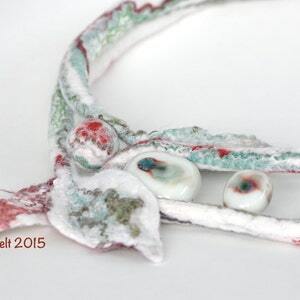 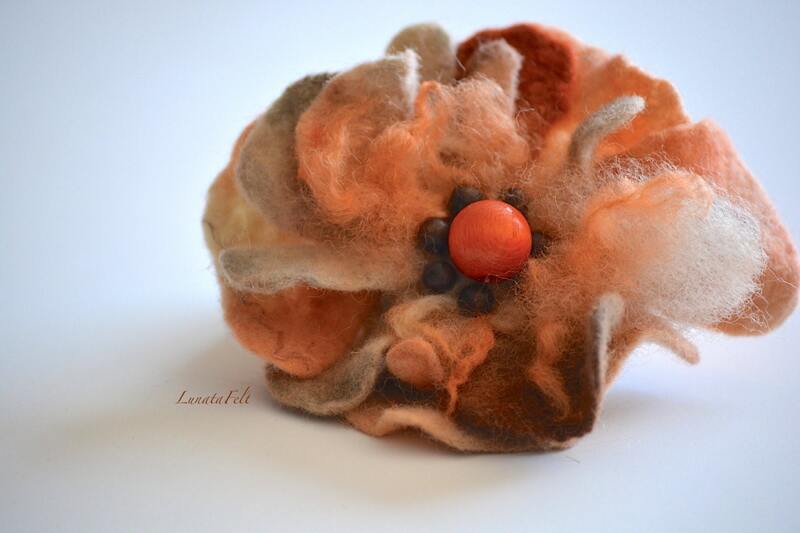 Hand felted abstract flower brooch made of softest merino, alpaca wool and silk. 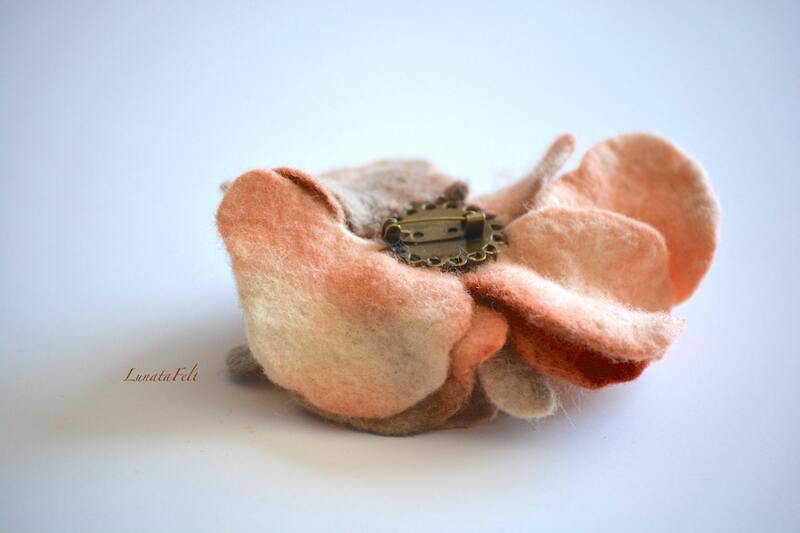 Finnished with bronze color brooch pin. 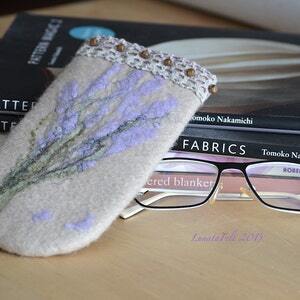 Ready to ship in 2 business days after purchase. 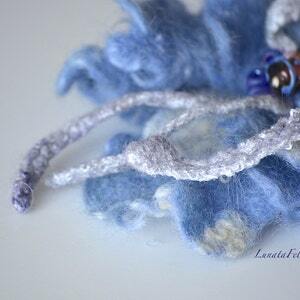 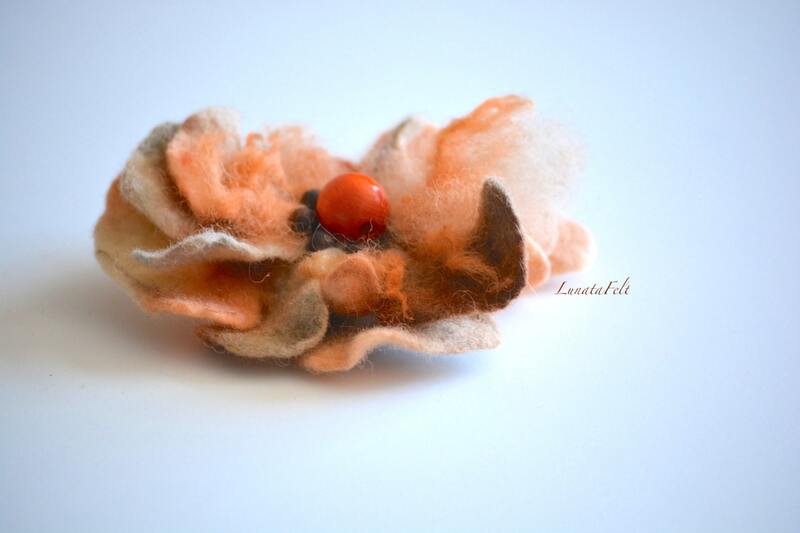 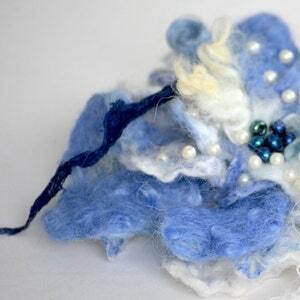 To order: wool felted flower brooch сan be made in any size and color. 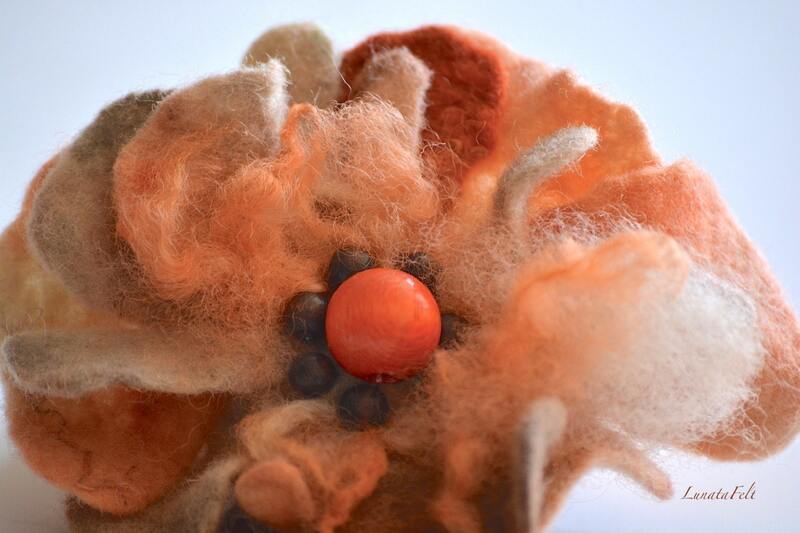 Special custom orders are priced accordingly.